Make timing easy with the TridentResults App Timing. With the help of the TridentResults App Timing, as an organizer, you have the opportunity to time your own events, where traditional chip timing is usually too costly for the amount of competitors you have. 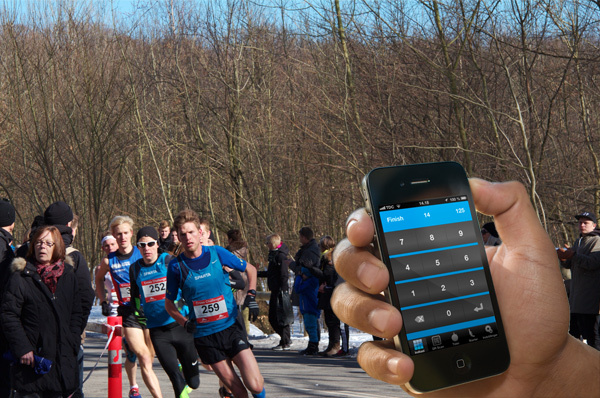 Timing takes place via an App for iPhone or Android, where you can enter the race number of the participants and this sends the time live to the web. The Timing App is synchronized with the participant list from the event registration page at tridentresults.com. All entries are made over the Trident Results sign up page, where the race organizer gets administrator rights to the registration page management module. The administration module allows the organizers to manage a lot of features around the signup page, such as entering free signups, searching participants, viewing finances, and more.